Pakistan Foreign Minister Hina Rabbani Khar speaks during a joint press conference with her Afghan counterpart Zalmai Rasool, unseen, at the foreign ministry in Kabul, Afghanistan, Feb. 1, 2012. Since she was appointed as Pakistan’s Foreign Minister in July of 2011, Hina Rabbani Khar has had to deal with the fallout from the American raid that killed Osama bin Laden in May, a deterioration in relations with Afghanistan, and a botched cross border operation that saw 24 Pakistani soldiers mistakenly killed by U.S. forces in November. She is Pakistan’s youngest and first female foreign minister. On the eve of her first high-profile visit to Kabul since the assassination of Afghan peace envoy Berhanuddin Rabbani (no relation), she talks about her country’s relationship with Afghanistan, the U.S., and with its own army. TIME: What prompted your trip to Kabul? Hina Rabbani Khar: As Foreign Minister of Pakistan, I would say that the most important capital in the world is Kabul. If this track works, if Pakistan and Afghanistan can work with confidence in each other’s intentions and actions, we can go a very long way. With that trust we can fix a lot of things and will not need outside influence and interference. Therefore we would be open to engage with Afghanistan at any level and at any time. Since 2008 [when the elected government came to power] we have given a very consistent message to Afghanistan that we mean business, that we would want to support anything that Afghans feel is for their betterment. They have to choose the direction, and we would be behind them following that direction. Unfortunately a few things, particularly [Afghan peace envoy Burhanuddin] Rabbani’s assassination, led to some unwarranted recriminatory comments coming from Kabul which were difficult to live with. Post that, this signal from Pakistan is very clear. I am very comfortable with the fact that we are the ones reaching out to Kabul, and I am proud of that. It is something that is good for Pakistan. TIME: Who will you be seeing in Kabul aside from President Hamid Karzai and Foreign Minister Zalmai Rassoul? HRK: I hope to be seeing pretty much all the important political leadership in Afghanistan. TIME: What about members of the opposition? HRK: Yes, I am meeting the opposition. 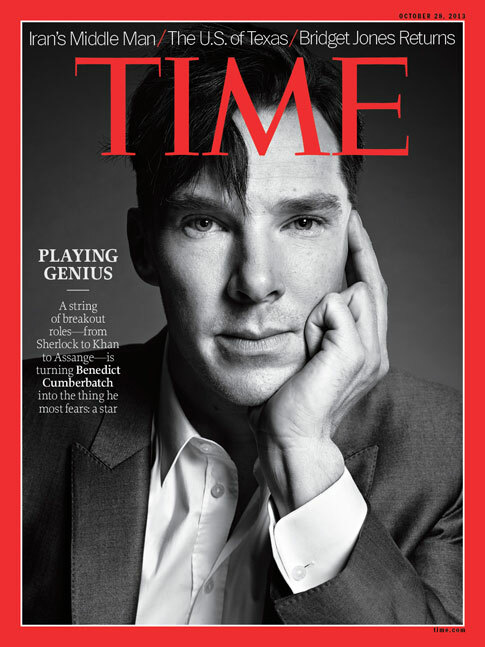 TIME: Why? You don’t think that will be contentious? HRK: Why should it be? The point is, we are reaching out to all of Afghanistan, and that should be fine. We want to build relations that are country-to-country people-to-people. These are relationships that are sustainable for the long term. Pakistan is typically seen to be too attached to one part within Afghanistan [the Taliban], so I think that is a myth that needs to be broken. I am calling it a myth because I don’t think it has been true for the past ten-plus years. So therefore it is important to send a message that whoever is important in Afghanistan is important to Pakistan. TIME: There has been a lot of speculation that you will also be discussing opening a second negotiating track with the Taliban in Saudi Arabia. HRK: No, I think this is all imaginary fanciful writing. It helps sell papers I guess. I will be very clear. The only purpose of my visit is to reach out to Afghanistan, to give them the confidence that whatever path the Afghans choose for themselves, they will find Pakistan to be behind them. Not beside them, but behind them. This is an extremely important message. We have a stake in their future, because our future is also linked to theirs. We are doing it for Pakistan, we are not doing it as a favor for anyone else. It is then up to the Afghans to really decide what course of action they want to take, and what best suits their interests. Hopefully we will find the space to be able to support them in whatever they choose for themselves. TIME: Do you feel, as Karzai has suggested, that Pakistan and Afghanistan will be sidelined from negotiations between the Taliban and the United States? HRK: I am not very concerned about Pakistan being sidelined, and I want to break this perception of Pakistan wanting to take center stage, or remain relevant. We want to remain relevant to ourselves, and nobody else. Our stake is in our own future. As a neighbor of Afghanistan we have a stake in their future, but in their future lead by them, as I said before, followed by us. As far as this whole thing being an Afghan-led process, whether it is or not, that is an bilateral issue between the United States and Afghanistan. I have made it very clear that we would be supportive of anything that is Afghan-led, Afghan-owned, Afghan-backed, and Afghan-driven. Pakistan supports whole-heartedly and with full momentum whatever is considered to be the solution, as long as it is the Afghan solution. I just want to reiterate the fact that there can be no solution brokered in Washington, London, Paris, Germany or Islamabad – it has to be brokered in Kabul. At the same time let me say we would be supportive of anything that has the Afghan blessing. So if the Qatar option is something that the Afghans want to pursue, Pakistan has no reason not to support it. I want to be completely and abundantly clear on that point. TIME: How do Pakistan’s goals for Afghanistan differ from those of the United States and NATO? HRK: Pakistan’s desires and hopes for Afghanistan are nothing more than a peaceful, stable Afghanistan. It may be friendly to Pakistan, or it may not. It is a sovereign country to decide who it wants to be friendly with or not. So what are our options? Our options are to do whatever we can, with as much trust as we can, to build as much confidence as we can so we can learn to live peacefully with each other and promote peace and stability in each other’s countries. So that is what Pakistan’s interest is, it starts from there and ends there. All these myths about Pakistan’s interests will hopefully find their way to the dustbin. As far as the U.S. is concerned, that is a different ballgame. [Unlike the U.S., ] we will remain here. So Pakistan’s interests in having a stable Afghanistan are obviously extremely huge. But when it comes to the U.S. and the NATO countries, they came here with some goals. I believe in the last ten years, those goals have changed considerably. I believe they want to leave the country in a situation that is more stable than when they came in. Secondly, the most important thing is not to promote militancy in the search for solutions. For instance — drone strikes in Pakistan. For us all of those things matter because they leave an effect. They may not matter so much to those who will not be here to see the negative effects of all that. TIME: As the neighbor that will be most affected by the withdrawal of NATO forces in 2014, what are your views on the timeline? HRK: We have always maintained that timelines should be based on the situation on the ground. It should be interlinked with the goals to be achieved. The timeline should not in terms of months and years, but in terms of what you came out here to achieve here. TIME: What about in Pakistan? HRK: I think the way some of the U.S.’s actions have been carried out have been exceptionally detrimental to the long time partnership between the U.S. and Pakistan. TIME: Haven’t the political and military leadership exacerbated the problem for their own popular gains? Using anti-Americanism to rally support? HRK: I don’t think the Pakistan People’s Party has ever opted to appear anti-American or hostile to the Americans. If anything we have tried to open up space for all the positive things the U.S. has tried to do. But what an ordinary Pakistani has seen over the past ten years is an escalation in suicide bomb attacks and security risks to their lives and the lives of their children. The fact that our economy has suffered $70 billion in losses [from the battle against militancy]. And yet we are told on a daily basis how much assistance we are being given from the U.S. What you call Coalition Support Funds, that is reimbursement on expenditures that we have spent [on securing] the western borders. So an average Pakistan feels worse off from being a partner in this particular [war]. You [the United States] are a proclaimed supporter of democracies the world over. And finally four years back you had a real election in Pakistan and there was a democratic government in place. What is the bastion of that democracy? It is the parliament, which represents the people of that country. Now if someone speaks at the top of its lungs that this one particular tool – drones – is counter productive, is unlawful, is unacceptable, is against the sovereignty of Pakistan, and yet you show yourself to be more attached to that particular tool rather than the reason for which you are using it, which is to ensure that there is no more militancy in the country. We have said many times over that this actually fuels all of the elements [of militancy] that we want to take out. So it is very difficult to explain why the U.S would choose to ignore the will of 180 million people and think it knows better. I think it is unfair to say that Pakistani leaders have fueled anti-Americanism. But if Parliament speaks in one unanimous voice on a certain point, you [the Americans] have to be mindful of that and respectful of the will of the people. TIME: The Parliamentary committee tasked with reviewing the U.S.-Pakistani relationship is about to release its findings. What will it look like? HRK: It will redefine what is uncompromisable for Pakistan, and within that I think it will be very realistic. Many people think it is going to be confrontational, but I don’t think that is going to be the case at all. I find that everybody [on the committee] is very geared onto the reality check and everybody understands that this is an important relationship for the U.S. and Pakistan to have, but that it also should be in the pursuance of our national interest. TIME: What about U.S. requests for assistance in fighting the militant groups in the tribal areas? HRK: This whole approach of having a to do list with each other is completely flawed. It is that which has lead us to where we are today. It is that along with cutting deals on the side that has lead us to where we are today. I look at this as a huge opportunity for not only Pakistan, but for the strengthening of democracy in Pakistan, and the strengthening of this particular relationship between the U.S. and Pakistan. It has to be more reality based, more according to the aspirations of the people of Pakistan. It is not a confrontationalist approach, it is just an approach which says that this is the definition of our national interest, this relationship has to fall within this ambit, and if it does we would be much more worthy partners. So I look at this as a huge opportunity for the U.S -Pakistan track. TIME: What do you mean by deals on the side? HRK: It is the parliament of Pakistan that must decide whether it is time for military action in one area or not. And secondly, please let’s not overlook all the work that we have done in the last few years. We have had many military actions in the past. You can’t do everything at the same time. What is expected of Pakistan [in the tribal areas] is what even 48 countries cannot achieve on the other side of the border. It is completely unrealistic. TIME: Yet clearly there has been support within the military for the U.S. drone program, even if Parliament has been against it. Doesn’t this indicate a two-track relationship? HRK: There is not a single military person to date that has ever accepted in front of me that they have ever been supportive of drones. There is nobody in Pakistan who has ever been supportive of this. The national interests of a country are defined by the parliament. It is the security interests of a country that are defined by the military. As far as the case of Pakistan is concerned, the military will work with whoever has political ownership. The military cannot act without being authorized. TIME: Until November, the U.S. operated its drone program out of an airbase in Pakistan. Clearly, someone was supportive of the drone program. That could not have happened without Pakistani military assistance. HRK: This is what I am saying, when I talk about doing only acceptable to the people of Pakistan. That authorization was given in an era where there was no functioning parliament. TIME: So there was support for drones prior to your government coming in? HRK: I can only say there was support by the Musharraf regime for that, and I believe he has admitted that on some level or another. The permission for the drone program, if given at all, was given during the time of President Musharraf. 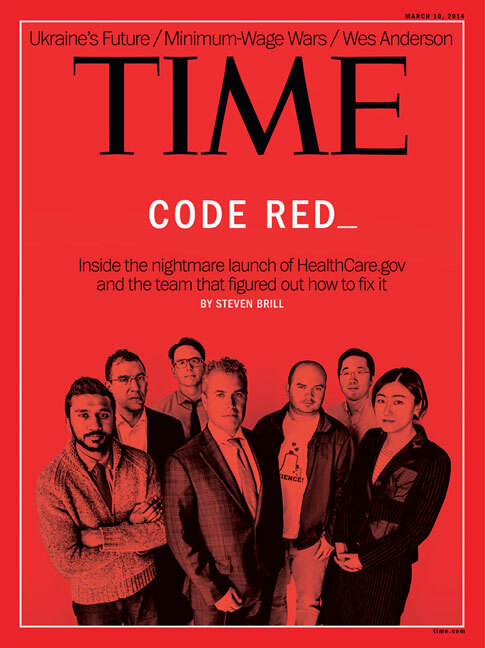 TIME: Are there any other red lines? HRK: No unilateral action at any level, of any type. Like Abbottabad [where Osama bin Laden was captured and killed]. Like what happened in Salala [where a cross-border NATO attack, led by U.S. forces, mistakenly killed 24 Pakistani soldiers on November 26]. You see what was really scary was the fact that in the U.S. CentCom report [on the investigation into the incident] they quote the trust deficit as one of the reasons why our people were not warned 72 hours before that a small operation was to take place. Now if this is the level of trust deficit between the two countries, that we can’t even be alerted ahead of an operation on our border, then we should have many many more worries than we currently do. We should almost forget about having a partnership that works. Because on something as small as this if the trust deficit is quoted as reason, it’s scary. TIME: Can the Americans trust the Pakistani military then? It has acted above the law on several occasions. HRK: The military has ruled this country for 33 years. The military has a real presence in this country. But there is also a constitution in this county, and the military cannot go beyond that constitution, and as you see them right now they are working in the framework of that particular constitution, and I think it would be unfair to say they are working in cahoots with someone else, and I have no reason to believe that anyone is doing that. For instance on bin Laden, there were many theories, but I think most of the Americans have by now also reached the conclusion that there was nobody in the system who had foreknowledge of his existence. TIME: Is this an evolution, that the government is now dictating the military’s actions? HRK: The military is part of Pakistan. I do not want Pakistan to appear to be a civilian vs. military paradigm. The military is part of the executive, it works under the executive. Because of the fact that the military has in some ways been in power for 33 years, I think the expectation level of the military internally and externally is just very different than what it ought to be. And I think that is going to be put right. And it is going to be through governments like this where the due processes work, the system delivers, the systems work, there is a clear and simple transition from one government to another. Five years from today, I don’t think somebody interviewing the next foreign minister is going to be asking these kind of questions, as much as you are. And ten years from today no one would even mention it. TIME: If that is the case your government will have achieved something that no other government ever has in Pakistan. As Prime Minister Yousuf Raza Gilani said the other day, coups are over in this country. What brought this about? HRK: I think there has been transformation in Pakistan with the realization that there is no easy answer. I think coups in Pakistan have been justified on the pretext of ‘we are the solution. We will give you liberation from your problems, and we will deliver.’ What we have seen in the past 60 years is that, if anything, [coups] have been the problem, not part of the problem. They have created the problem. It is because of military coups that Pakistan today is where it is. And Pakistan has a much brighter future. Pakistan has much more potential. It is because of this tendency towards military coups that has led many institutions to be not strong and not take roots. And therefore your delivery systems — whether education or health — suffer because of this. You have to give a lot of credit for the transformation to the media. People are much more politically conscious today than they ever were. I myself can say I am a convert as far as this is concerned. When I did my thesis paper in school it was about how democracy hasn’t delivered in South Asia. Today you see a completely different point. Today if there is one thing I firmly believe it is that Pakistan will only be delivered at the back of a consistent democratic trend. Then there is nothing that can keep Pakistan back. Pakistan will, Insha’Allah, emerge as one of the stronger countries in the world.